Our full bus of excited pilgrims arrived almost on time and were tired but excited to go! Because it was an early arrival, we had time to drive along the coast of the Mediterranean Sea to Haifa where we had Mass at Mount Carmel at Elijah’s Cave. 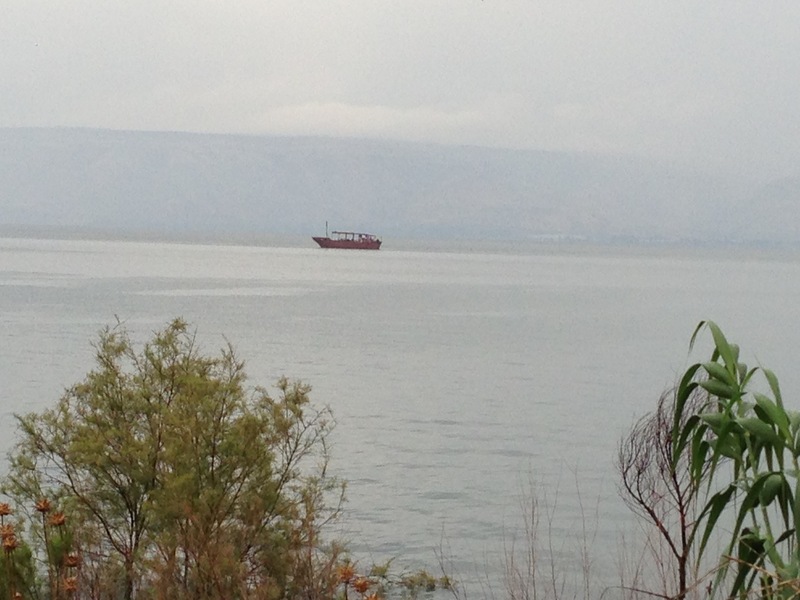 After a drive through Haifa toward Tiberias we arrived at our hotel on the very shore of the Sea of Galilee where Jesus lived and ministered. After a great meal everyone enjoyed their seaside balconies before getting a good night’s sleep. Tomorrow is a busy day visiting the Mount of the Transfiguration, renewal of wedding vows at Cana and Mass at the Church of Annunciation in Nazareth where the Angel Gabriel brought the Good News to Mary. We will pray the appropriate Mystery of the Rosary at each of tomorrow’s sites. Click HERE to see my early morning walk along the shore of Galilee.